Michelle Gielan – Goodthink Inc. Effective, positive communication is the single biggest driver of success for business teams. New research in the fields of neuroscience and positive psychology is showing the incredible ripple effect positive communication can have on employee engagement, productivity, and happiness at work. 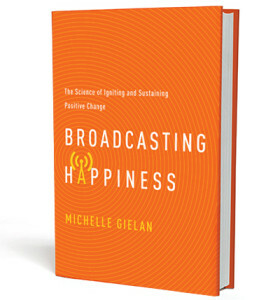 After spending years as a national CBS News anchor broadcasting to millions and receiving an advanced degree from the University of Pennsylvania in Positive Psychology, Michelle developed simple, yet proven techniques for positive communication that drive individual and team success for quantifiable results. She trains professionals on ways to inoculate their brain against stress and negativity, praise effectively, and shift the culture to create a talent-enhancing environment. In our corporate culture, it can sometimes be difficult to be both female and positive without fear of being perceived as “pollyannish” or out of touch with reality. In this talk, Michelle shatters the misconceptions about positive leadership using science to show how to not just avoid prejudice, but to also change the mindsets of those around you to drive success. Michelle describes funny and poignant stories she experienced while one of the top female media professionals, as well as from her work with influential female executives at companies including Google, Microsoft and Bank of America. In this talk, Michelle reveals how to cultivate rational optimism, change the social script using verbal and nonverbal cues, guide the negative toward the positive, and be perceived as strong, deep, and optimistic female leader. We often overestimate the impact our life circumstances have on our happiness and success. New research shows 90% of our long-term success is predicted not by our external circumstance but how we process the world around us. So what is the scientific key to our success? Optimism: the belief that challenges are temporary, and if we take action, we can improve our circumstances. Optimists are historically more successful – not to mention they have more fun achieving their goals! Michelle has conducted research with people experiencing everything from small setbacks to life-changing events, and she has identified hallmarks of an optimistic mindset and how to train our brain to process the world for greater happiness and success. In this interactive session, Michelle shares the strategies for raising our personal optimism quotient, responding to challenges more effectively, and channeling this new mindset into tangible successes.